Create a support knowledge base, share canned responses, and more. Help your support team give better and faster responses. 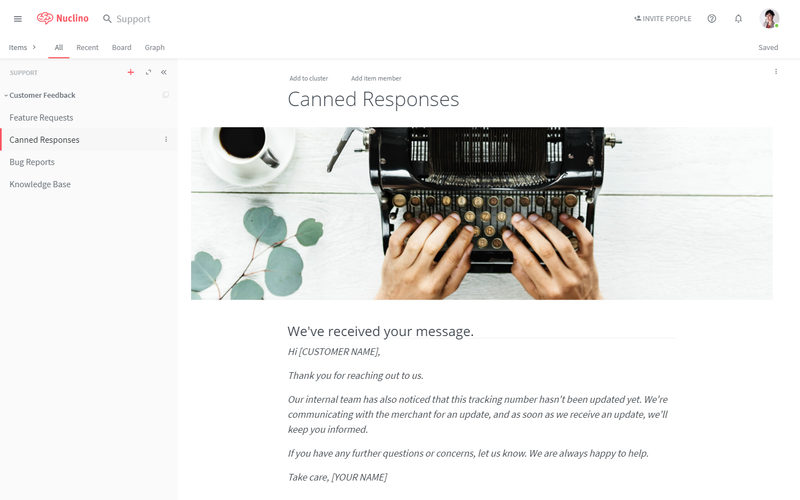 Create and share canned responses to speed up handling of requests. Track feature requests from your customers in a visual way. Collaborate with your team in real-time on any support-related content. Add comments to content like canned responses to continuously improve them. Find relevant knowledge base articles and canned responses instantly.